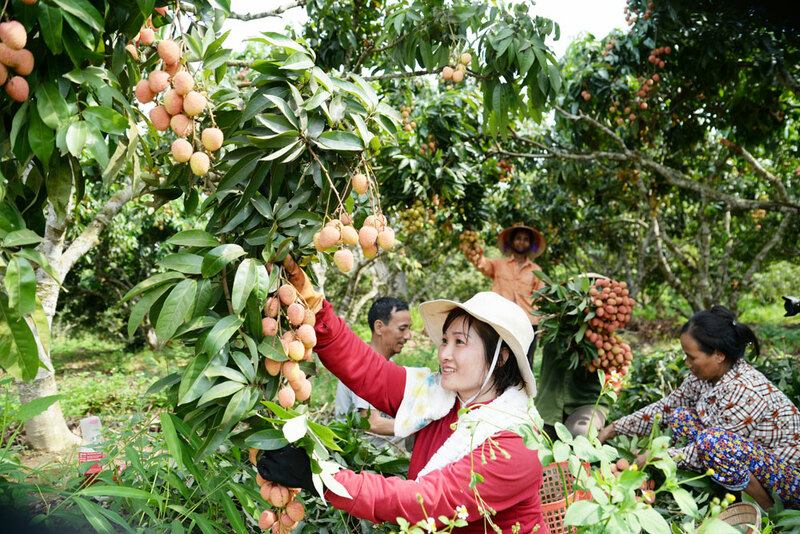 (BGO) – It is coming to the peak harvest season of the early ripen lychee and also the start period of the main harvest crop in Luc Ngan district, Bac Giang province. To support the farmer in harvesting and consuming the fruit, the local People’s Committee and competent sectors have paid due attention to creating the most favorable condition to the traders and enterprises who visit to buy and promote the fruit far and wide. 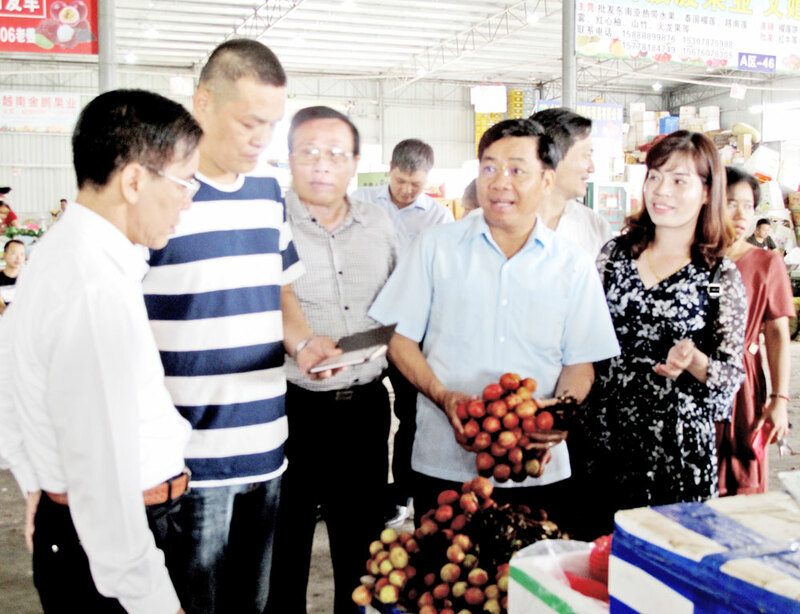 Vice Chairman of the Bac Giang provincial People’s Committee Duong Van Thai, representatives and enterprises survey at the fruit wholesale market to grasp the lychee consumption situation in Pingxiang city (China). The family of Nguyen Thi Hoi in Dong Bong village, Tan Moc commune estimates to harvest 7 tonnes of early ripen lychee grown under the VietGAP procedure. 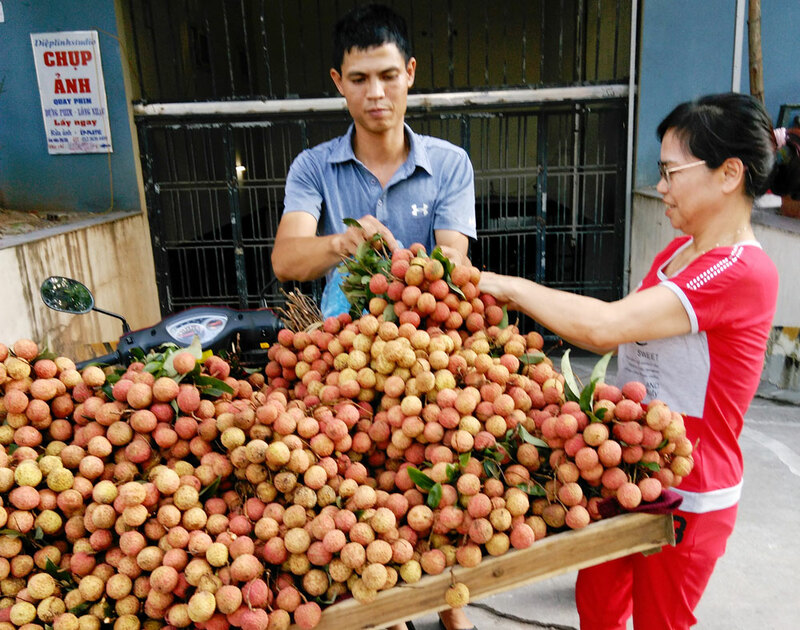 Chinese traders buys lychee in Kim street, Phuong Son commune. The lychee is popularly sold at Dai Kim ward, Hoang Mai district, Hanoi. The lychees are packed at Hong Giang Trading and Production Cooperative (Luc Ngan district) for export. 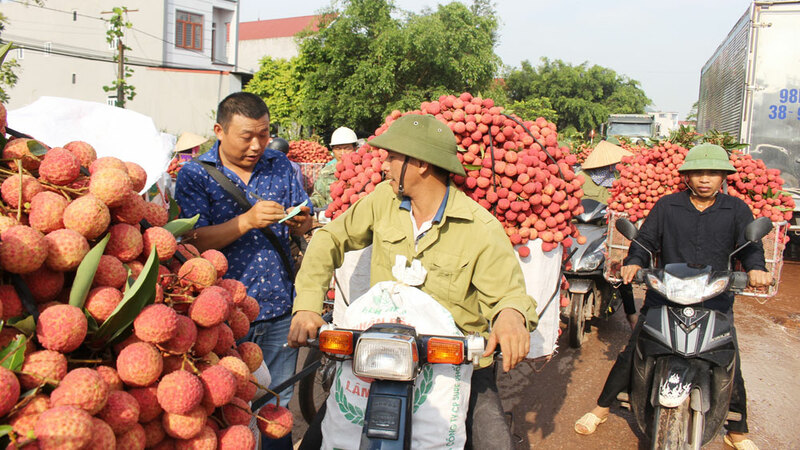 The lychees are gathered at the Kim Thanh International bordergate No.2 (Lao Cai province) then exported to China.